The heavy profit motive lies in the use of chemical dispersants. Consider the company called NALCO, maker of water purification systems and chemical dispersants. NALCO is based in Chicago with subsidiaries in Brazil, Russia, India, China, and Indonesia. NALCO is associated with the Univ Chicago Argonne program. UChicago Argonne received $164 million dollars in USGovt stimulus funds this past year. Hmm! Why?? UChicago Argonne recently added two new executives to their roster, one from NALCO. The NALCO firm is associated with Warren Buffett, Maurice Strong, Al Gore, Soros, Apollo, Blackstone, Goldman Sachs, and Hathaway Berkshire. Hathaway Berkshire increased their holdings in NALCO just last November. Their investment motive must be called into question, just like their sale of Moodys stock. Focus on the dispersant chemical known as Corexit. It disperses oil at the chemical level and keeps it below the water surface. COREXIT IS BASED UPON TOXIC CHEMICALS. A close derivative of automotive anti-freeze solutions, it is designed to break up the spill into smaller pools. It is toxic and banned in Europe. The suspicious observers might believe that the course of action seems to be to permit the oil to blow wide open into the Gulf, which would require even more dispersant. A personal and investment friend is TomU from Atlanta Georgia. He makes the case that the entire motive of British Petroleum is not to stop the leak but instead to capture the flow. Notice the final comment that confirms the Oil Volcano is in danger of growing, or connecting a second oil fissure to produce a gigantic new Oil Volcano. TomU wrote, "I spent 30 years solving disaster problems, World Trade Center Cleanup in 1993, MGM Grand Hotel fire in 1980, Power Plants in Tel Aviv, and other sites around the world. The oil leak could have been cut 95% on the first day. As you might know, they have been monkeying around trying to cap the pipe. For what reason? So they can RETRIEVE the oil as opposed to stopping the leak. Remember, the pipe is 21 inches in diameter and one inch thick. This pipe was instantly severed by one of the two 48 thousand pound cutters. If their aim had been to simply cut the majority of of oil leaking and save the ecosystem, they could have simply created a crimping adapter for the most powerful cutters on earth. Instead they cut the pipe in order to make sure they can retrieve the oil so as to cut the cost of their liability damages. They could have simply crimped the pipe as easily as they cut it. We did it many times on broken water mains and leaking power pressure lines... Also, we used to sandblast hardened steel at about 1500 psi and could destroy it if we wanted to with ambient temp. At that depth and temperature at about 400 degrees, just tack on about 70,000 psi and that backs up what you are saying about the mouth expanding to seek another big leaking plume. It is getting worse by the minute." THE MOTIVE IS NOT TO STOP THE OIL FLOW. Their goal at BP is to capture the oil flow, and to tolerate the risk of grandiose grotesque gargantuan ecological damage, the worst in human history. Regardless of ongoing haphazard efforts, the natural geological forces are working to join a second nearby fissure, and possibly create a gigantic Oil Volcano a few miles (kilometers) in diameter!!! Celui-ci porte bien son nom, il vient du Golfe du Mexique pour réchauffer nos côtes. Au vu des courants, on peut s'interroger sur la destination finale du goudron louisianais. Nos plages d'ici quelques mois ? « Il n'est pas impossible qu'on en reçoive un peu, mais l'éparpillement sera très important », estime Fabrice Collard. Au Cedre, le Centre de documentation, de recherche et d'expérimentations sur les pollutions accidentelles des eaux - situé lui aussi à Brest -, le directeur adjoint, Christophe Rousseau, se montre encore plus rassurant. « Le temps qu'il arrive en Europe, le pétrole sera complètement disséminé. 76 640 000 000 000 000 000 litres. Ou en millions de litres, 76 640 000 000 000 millions de litres. Alors 24 millions de litres/jour pendant dix ans, ça fait, voyons 86 400 millions de litres. Soit une dilution de 1 sur mille millions. Le raisonnement est fallacieux pour de multiples raisons. Delbeq prend en compte la totalité de l'Océan Atlantique, qui va presque d'un pole à l'autre, alors que le Gulf Stream est extrêmement délimité dans son parcours. Les eaux chaudes du Gulf Stream ne se mélangent pas avec les eaux froides. Ensuite Delbeq raisonne en volume des eaux de l'Atlantique, et inclut dans ses calculs les plaines abyssales (-5000m) or le pétrole reste en surface. car sa densité est plus légère que celle de l'eau de mer. Pris en flagrant délit de manipulation de chiffres ! La question qu'on est en droit de se poser, c'est pour qui roule Denis Delbeq ? Ceux qui connaissent un peu l'histoire des mouvements écologistes, savent qu'ils ont été créés ex-nihilo par le Cartel des Pétroles, afin de lutter à l'époque contre l'émergence du nucléaire civil. Le silence de Green Peace et des autres grandes organisations écolos est éloquent en ce moment. Sur CNN, presque toutes les personnes ayant travaillé au nettoyage de la marée noire de l'Exxon Valdez en 1989 sont mortes. In the following interview Paul provided us with a lot of detailed information on the leaking oil well in the Gulf of Mexico. As Paul points out the amount of oil currently flowing out of the well and other parts of the sea floor should be much higher than the 60,000 barrels per day (BPD) which were recently estimated by the US government. A much bigger problem for the Southern region in the USA could arise, if the sea floor eventually collapsed. Such an event could trigger a tsunami or even more likely an earth quake what again would lead to a situation in which more oil would flood the Gulf of Mexico. Such an event doesn´t have to happen but if it happened it could make the problems much worse. Thanks a lot for your cooperation and your willingness to take your time for providing us with so many detailed and interesting information on the leaking oil well in the Gulf of Mexico. What we will do as soon as possible is to translate the following interview into German, too for making sure that all our German, Austrian and Swiss readers get those information in the right way as well!!! wirtschaftsfacts.de: Surviving members of the Deepwater Horizon Crew explained that a huge methan bubble had come up through the pipe before the oil platform exploded. This methan bubble led to the explosion of the platform. Did the drilling device dig into a layer of methan hydrates on the ground of the deep sea? Did it cause the sinking of the platform? Paul Noel: Methane Ices: Methane Hydrates begin formation as the water temperature approaches the freezing level and the water pressure elevates. North Sea Methane hydrates are something Europeans will be somewhat familiar with. These typically form in areas where methane is migrating upwards through the rock and it encounters cold high pressure water. Oil Industry problems with methane hydrates are legendary and include many such events. They are often known as “Shallow Gas”. As the drill drives down usually less than 1.000 meters of depth this may cause methane to explode upwards. This surrounds the rig in a cloud of methane causing fires, explosions and as it bubbles through the sea, a loss of buoyancy by the rig if it is floating. This was not the failure in the case of the Deep Sea Horizon rig. They suffered another failure entirely. The Deep Sea Horizon rig lost control of the pressures in the drill casing. They had a very high pressure well per BP numbers about 20,000 PSI (137,000 kPa). This is not at all exception in the area and in fact may be a bit low for the region. Pressures upwards of 65,000 PSI are common nearby. The well was one prone to severe pressure fluctuations. The pressure is controlled by weighting down the drill mud in the well until its weight matches the well pressure. Methane hydrates may account for much of the instability of this well but in fact drilling was not in progress when the well failed. According to testimony before the Rep. Markey (US House) Halliburton Corp, the placement of several more concrete plugs in the well than BP wanted installed. BP also demanded that the counterweight mud be removed from the well before Halliburton staff believed it was safe to do so. The resulting situation cause a massive methane bubble to form in the well and it drove out the mud and the other content of the well leaving an open hole to the sea floor. One might think that the Blowout Preventer (BOP) could be shut and stop this problem. BP had cut corners and the BOP is just resting on top of the well. It is not locked down and cannot be used for this purpose. This is also from Rep. Markey sources. As such the device is nearly useless. The upwards thrust of the well onto the BOP if it were shut off (using BP numbers) is approximately 15,000 long tons. This means that the BOP is useless. Even if it were secured, it is likely that the pressures in the well could eject the casing and the BOP very violently from the well. Rep. Markey reported that BP had put in 3 concentricity devices when Halliburton asked to put in 28. This is serious because it suggests that the well even with the casing plugged is unstable and dangerous. These devices are installed because as a drill goes deep into the earth the pressure on the rock is very high. As the drill relieves the pressure the rock explodes inward and makes the well grow quite a bit larger than the bit cuts. This makes the well casing hang in open space and unable to block methane and oil from erupting around the casing. With only 3 such devices installed the well is always dangerous. If any of these fails, the well is subject to blowing out around the sides. BP also used cheaper steel which is subject to pressure failures and corrosion. The only description of this well is that is trouble. wirtschaftsfacts.de: Are you able to provide us with detailed information on the structure of the methan hydrates on the ground of the Gulf of Mexico? What kind of dangers is associated with those structures in the current situation? Paul Noel: Nearly the entire region of the Gulf of Mexico below about 3,000 feet contains large quantities of methane hydrates. Above that depth the deposits are not always there but do occur frequently. The exact quantities vary but are something in the order of 10 meters deep of near pure hydrate over much of the bottom of the Gulf of Mexico. Methane hydrates are unstable if the temperature or pressure on them changes. These deep deposits are very stable because the temperature and pressure are not unstable at these locations. The reason the methane hydrates are so common here is that the region produces massive seeps of methane and oil. The natural leak rate for the Gulf of Mexico in Petroleum Distillate is about 50,000 BPD. The Gulf of Mexico is so adapted to this leak rate that massive quantities of biologic organisms exist and eat this oil almost immediately. With a modest population increase in these organisms which include Bacteria up to very large creatures on the sea floor, the Gulf of Mexico could easily see another 50,000 BPD eaten. Methane seeps are massive and very frequent in the depths of the Gulf of Mexico. I don’t have quantitative data on the amounts of Methane Seepage. It is just a lot. The Methane Hydrates are primarily a dangerous feature in fairly shallow areas. This is because temperatures can change and pressures can change there. Deep areas do not see Methane Hydrates posing these dangers. Deep oil is quite hot, if the deep oil comes up and heats the surrounding rock it could trigger problems. These would manifest as Methane releases outside of the well casing. wirtschaftsfacts.de: What will be the long-term consequences for the whole region? The American scientist James P. Wickstrom recently warned that a tsunami might hit the southern coast of the US. You think so, too? Paul Noel: Tsunami Risks: The problem of tsunami is largely a product of landform shifts in shallow water. Deeper water does not see this risk as much however; there is a real risk if a major land form shift occurs that such could happen. The whole risk set associated with an oil well at this location surrounds what happens if the earth shifts to compensate for the release of material supporting it or not. At Petronious (a Gas field) about 15 miles from this Macondo Well, during well prove in processes earthquakes up to 4.5 have been triggered. Such events are big enough to risk tsunami. The volume of oil removed from the formation at this time can be measured as a very significant amount. There is a genuine risk of tsunami though I think that the risk at least for now is fairly low. It is simply a matter of time until something has to shift. The issue is how it will shift and what happens when it shifts. It is probably a much greater risk that the sea floor will crack and release even more oil. That risk has been reported to be actually happening from oil industry sources. However, I have not been able to get quantitative data on exactly how much has happened. One Oil industry analyst has reported that the releases of these cracks are actually at this time higher than the original spill. Again the data is not entirely in on this. (1) Tourism: Tourism is a very large industry along the pretty white sand beaches of Alabama, and Florida. These are essentially out of business now for an extended period. This period will extend for several years after the oil stops. In Alabama this is about $50 Billion a year. In North Florida it is above $100 Billion a year. Fishing is a core part of the food industry in the area and also a core part of the tourist business. This is going to be severely damaged for about 10 years and lesser damage will be seen up to 25 years or so. (2) Fish Stocks: The sea food industry is massive in the area. Due to over fishing elsewhere on earth most fishing grounds are in severe decline. This area was a bright spot. It was well managed and continuing stable production. The percentage of the world supply cut off here is about 20%. This will put strong market pressure on the already over fished grounds around the world. This area being out of action even for a year or two will cause large numbers of people in the region of Africa and Southern Asia to seek new homes due to the shortage of sea foods. Sea food stocks will be damaged to unusable levels for about a year or two after the well is shut in. Then gradually more and more stocks will return. Some species of fishes will take nearly 50 years to be fully back into “normal” populations. This owes not to fish kills but to massive amounts of damage to the breeding grounds in tidal estuary regions and to young fish stocks being damaged near shore. (3) Trade: There is a severe limitation on the functionality of the Port at New Orleans, Louisiana Pascagoula, Mississippi and Mobile, Alabama. This is going to impact European and Asia trade as these 3 ports account for over 50% of US foreign trade. The economic impacts will be massive on all parties. Pascagoula is an automated containerized port. The Port of New Orleans and the mouth of the Mississippi River there represent the entrance a series of deep river ports that can take ocean going freighters up to Memphis, Tennessee. While none of these ports individually rivals Rotterdam, Netherlands the combined port on the Mississippi river is much larger than in trade than any port in the European Union. (4) Environmental: The spill as of this date is only beginning to cause its final damage. Marshes and wetlands inundated with oil are severely damaged with one oil exposure but they recover. Repeated exposure leaves them about as lifeless as a modern roadway. These marshes and wetlands are the breeding grounds for much of the sea life in the region. The effects extend up to Europe in the North Sea region as the Gulf Stream which originates in the area goes to that area. 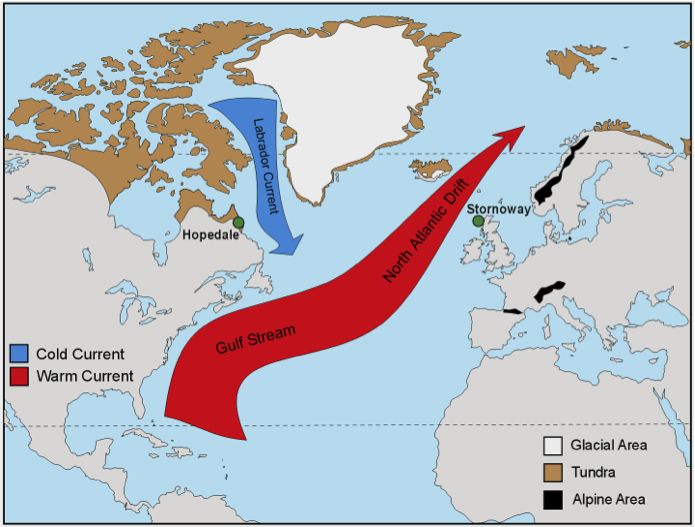 The migrations of many types of fishes and birds extend to the Arctic and further south through these waters. This location is a nexus or connection point for their travels and breeding. In the America’s large amounts of migratory birds cross this area in the fall and spring time. Little is known about the interaction of these birds and the sea but it cannot be insignificant. We even have butterflies (Monarch) that migrate across this region. During the migrations these birds are so concentrated on these marshes as their final preparation point for their over sea flights the effects cannot be minor. The number of birds is so high that they literally block the function of coastal Radar used for weather detection. A very high percentage of whales and dauphins lives in this area. Reports are that about 80% of the world dauphin population lives in this spill area. Many types of larger whales migrate through the region and have their babies there. (5) Sea Birds: Specifically there are large populations of sea birds such as Pelicans and others which will be severely impacted. These will take many decades to fully recover. There are birds that spend most of their life on the water near the coast. These birds are most certainly dead. wirtschaftsfacts.de: What would trigger such a tsunami? Or perhaps earth quake? James P. Wickstrom explained that the huge pressure in the cavity that forms under the earth’s crust due to the leaking oil will eventually lift the deep sea floor which would inevitably lead to the catastrophe. Does he dramatize? Paul Noel: More specifically the sea floor will collapse. The collapse is absolutely certain. The only question is how it will collapse. As the oil escapes the deposit several types of collapse are possible. A simple subsidence would allow this to happen safely. If the canyon where they have drilled subsides in the wrong place, you could see the effect of a land slide under the sea. This is the Tsunami cause event more than any other with the most potential. This shifts massive quantities of water. The canyon is about 2 miles deep. The well is on a mesa about half way down the slope of the canyon. If the earth merely cracks and slides a little this might seem a minor event. Unfortunately the event could let oil escape catastrophically and in an uncontrolled release this has real danger to even the people of Europe. I would not want anyone to think that I am projecting this as a certain event. It is a possible event. The deposit of oil in the central Gulf of Mexico is several orders of magnitude larger than those in the Saudi Arabian deposits. It is also massively higher pressure. The Saudi and Kuwaiti fields are much less pressure than this deposit. A lot depends on the connection between the Macondo well and the deeper in the center of the Gulf of Mexico. A catastrophic failure of the canyon wall under subsidence events that are possible could bring up such a massive quantity of oil that it would not only soil the US Gulf of Mexico and the US Atlantic coast, it would dump oil onto the European shores as well. wirtschaftsfacts.de: Could the situation get worse, if the methan hydrates on the deep sea floor release further? Paul Noel: The Methane Hydrates could get involved in this if the warm oil from deep in the earth begins to rise and this could cause an “explosive” failure of the canyon walls. Yes things could get a lot worse. Hopefully they will not. It is not impossible but it is also a fairly remote possibility that this would happen. wirtschaftsfacts.de: A tsunami or earth quake would contaminate the entire coastal area in the southern states. The US-government keeps silent and passive. Is there anything that Mr. Obama could do? Evacuate the region for example. Paul Noel: I wouldn’t worry about contamination of the land if you have tsunami. The real issue would be the damage of the wave at that point. The shallow nature of the area and the long slope of the coast without high land means such would carry quite a distance inland. The storm surge from Hurricane Katrina carried about 60 km inland in places along the coast. I do not see the government doing any kind of evacuation because of dangers. We already have great dangers and all the government is doing is denying what is going on. The best illustration I can give here is in the spill volume estimates. Their first estimate was 1,000 BPD. I have a water well on my property with a 0.75 HP pump and a 3cm outlet pipe. I can throw a stream of water out of my pump that is 1.440 BPD. That should make the claims into lies. Then they decided to throw out 5,000 BPD. Now they are up to 60,000 BPD. An irrigation pump with about 10 PSI output and 41 cm outlet powered by a tractor PTO can throw 377,000 BPD. The well has a pressure differential to the sea of about 400 PSI and nearly twice the cross section of that pump. Anyone who knows pumps and pipes knows that the well is doing well above the Government estimates. wirtschaftsfacts.de: In this context, what do you think about introducing dispersants and other chemicals into the Gulf of Mexico? Will there still exist fish or an underwater world in the region? How would it affect the world-wide oceans? Paul Noel: The dispersants are really a trivial local issue. They do damage to the fisheries locally by making the oil spread out even more inside the water columns but they are not really very significant either in quantity or effect. The spill at 60,000 BPD (US Government current estimate) is for just one day about 2 times the chemical they have used over 60 days or about 1/120th. The effect of these chemicals is a problem but probably isn’t that significant to the whole situation. wirtschaftsfacts.de: Some American energy experts had the idea to trigger a nuclear bomb on the deep sea floor in order to close the hole. Isn’t that the choice between the devil and the deep blue sea to have either a tsunami or an atomic bomb off the coast? And would it be safe and reliable that the bomb closed the hole? Paul Noel: The Russians have done this 5 times. I don’t know that they ever did it in the sea. I am a bit scared of the nuclear option because it could cause the sudden catastrophic collapse of the formation. At the same time it could solve the problem. It certainly is a difficult choice to make. I would say if it is going to be used, waiting to do it makes no sense. The actual detonation damage would be quite trivial compared to the effect of subsidence etc. that is ongoing. The 4.5 earthquake at Petronius is nearly equal in force to a good sized bomb (20KT) . If a catastrophic failure happened on land it might be serious but likely it could be contained. Under sea as we have seen makes things a lot harder. wirtschaftsfacts.de: How long will the oil take to disperse? Will that become a global problem? Paul Noel: This is where the good news comes in. Shocking as it may be to say it, the Gulf of Mexico is the best place on earth to hold an oil spill for this very issue. The Gulf of Mexico is the warmest of the big ocean bodies. (Only the Red Sea is warmer). It is also the saltiest. This makes oil dissipate the fastest anywhere on earth. It is also home to the Gulf Stream. (Recent discussions of the Loop Current are about this). The Gulf Stream is 30 million cubic meters per second flow. That could dilute out a lot more than is going on right now. At 60,000 BPD that would be less than 4 parts per billion. Naturally the distribution isn’t quite as good as these numbers but the point is that most of the oil will be broken up and such in the next 60 to 90 days. This applies to what is already out. We are already starting to see lots of “weathered oil” in the region. This does mean that Europe is likely to see a small amount of oil and occasional patches but not a significant amount. Another feature of the Gulf of Mexico is that it seeps naturally about 50,000 BPD. That means that the place is home to a lot of creatures that eat oil. It naturally eats about 50,000 BPD every day and has done so for thousands of years. Only if the spill gets a lot worse will the damage outside the USA become seriously significant. Such is possible but it is a remote possibility. wirtschaftsfacts.de: When will the oil reach Europe’s coasts? And what atmospheric disturbances will be the result? Paul Noel: I suspect that the atmospheric effects have already hit Europe and they certainly have hit the USA. We are experiencing excessive temperatures and nearly catastrophic rainfall events. These happen naturally but this current event set is in line with the effect of heating the ocean more. Europe will see some of this oil but it is likely to arrive as a highly weathered substance and be more of an unusual event than something in quantity. It will be an occasional tar ball or some similar occurrence. wirtschaftsfacts.de: Could this catastrophe lead to the collapse of the ecological balance on our planet? Paul Noel: Not at its current level but if the deposit becomes unstable the out end danger is very real of severe worldwide damage. The scale of what is happening at this time is pretty bad. It isn’t of a scale to alter the whole ecological system except as other human effects may multiply it. It will be a pretty severe hit to the US Gulf Coastal region for a period. wirtschaftsfacts.de: What is going to happen to the oil giant BP? Didn’t they try to hush up the dimension of the catastrophe from the beginning on? How could they have used the time better with doing what? Paul Noel: I have no idea what is going to happen to BP. They definitely did and are still hushing up what is going on. They are harassing press people in the region and they are even pushing for preventing aircraft to fly over and show what is going on. They are making even their day labor sign to not say anything to the press. I would compare this situation to Chernobyl events. BP would have done far better to come clean from the start than to lie. Everything will look worse than it is if they keep doing what they are doing. The parallels here are striking. The situation is livable but failing to discuss or to rationally deal with the situation makes it get worse. BP has done a great disservice to itself in trying to associate itself as if Americans were anti-English in being angry. US Citizens are definitely mad at BP but there is no anti English or anti EU thought here. Every day that BP uses forceful tactics on the US Gulf Coastal people makes for them enemies of the people who are most disposed to be allies of the Oil industry. wirtschaftsfacts.de: Even if the world had run out of oil and we went in the direction of peak oil. Should governments continue to hand out drilling licences for deep water drillings to companies like BP? Paul Noel: Peak oil makes sense in terms of the cost, not by supply. Development of the Macondo well alone cost something in the order of $3 Billion. That takes a lot of money to pay back. The risks obviously were very high. The risks are getting higher and the costs are getting higher for oil every day. The choice of the price of oil is fast becoming one that any rational person would say that the cost is too high. We must go another way. Paul Noel: I suspect that the Russians are more aware of this compound than I was before I saw the article. However; the warmth of the region will oxidize the material quite rapidly as well. I did see this AM a photo chemical smog from the spill in Huntsville, Alabama. Huntsville, Alabama is equal distant from the Gulf of Mexico and to Canada. This effect is coming inland. wirtschaftsfacts.de: How much oil is currently flowing out of the well? Paul Noel: The US Government is now estimating 60,000 BPD. This AM BP announced that they had contained almost 30,000 BPD into ships or burners. Observing SpillCam on the internet no noticeable difference has occurred in the discharge. Using the example of the irrigation pump which discharges 377,000 BPD the well would surely be doing at least equal to it. This makes the current pickup equal to a possible 7% of the spill. No wonder it doesn’t show any change on camera. It will take 2 or 3 times that amount to affect the spill visually. It is important to say that this is not an Oil Well. It is a natural gas well with some oil blowing. So the actual volume may be somewhat less than a solid stream. Compared to the Water Pump, the output would be well able to be 350,000 BPD even if the Gas is displacing much of the oil volume. The Well volume and pressures also say that there could be a lot more than I am saying but I am reluctant to go over this number without more data. The well could be a lot more than I have suggested in this comparison. The cap over the well is massive and it is completely obscured by the oil. The well is most certainly not blowing 60,000 BPD. It is dramatically larger and could be a full order of magnitude or so larger. Again I am not willing to say exactly how much but it is massive. wirtschaftsfacts.de: Could the drilling of a relief well improve the situation? Paul Noel: The oil industry says that this is the only real solution. The problems with this solution are all the same as with the original well. At the Ixtoc 1 well in 1979 several such relief wells failed as well before the eventual success happened. This is a dangerous and risky solution. It probably is the only good possibility. The risks are very high including another blowout. wirtschaftsfacts.de: Do you know anything about the pressure in and surrounding the leaking whole? Paul Noel: My latest data says that the differential pressure between the BOP and the sea around it is about 400 PSI. The well itself if it were sealed up would reach about 20,000 PSI per BP’s numbers and there is considerable evidence that this is a low number. It really doesn’t matter how high it is. It is too high for the devices to control. Pressures in wells of this type arise from 2 features. The first is simply the weight of material on top of the formation. In an oil well this is typically about 1.5 PSI per meter of well in water. In Rock the pressure is about 4 PSI per meter rise. The second factor is if the area is attached to a higher pressure deposit or has some other feature that can drive up the pressure. This well may well have both factors in play. wirtschaftsfacts.de: What about the temperatures? Paul Noel: The temperature at the sea floor is about -4 C. At 2,500 PSI this is equivalent as far as the temperature and pressure effects on matter of about 2,000 C. Oil rising through this depth distills in the saltwater column and this is what has given rise to the plumes. Because of the natural gas content it also does similar to the spraying of liquefied Carbon Dioxide where the result is both Gas and Solid Carbon Dioxide. This is causing many effects including the extreme disbursal of the oil into very tiny droplets in the water column. 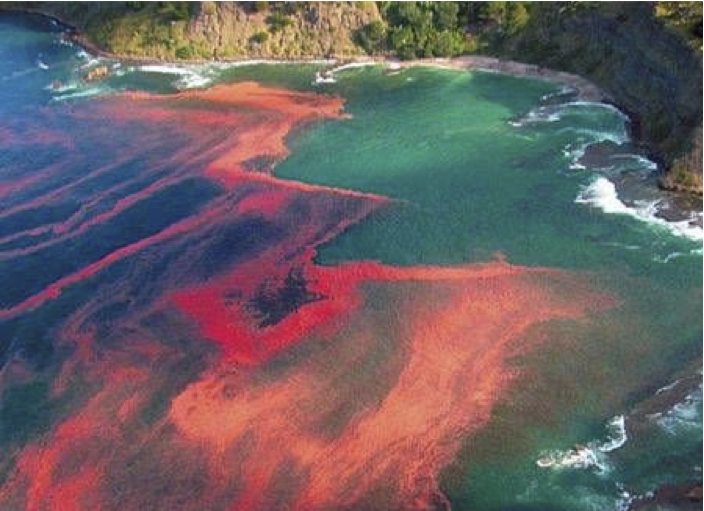 It is also causing only a tiny fraction of the oil to reach the surface of the sea. The oil coming out of the well is very hot. It is about 65 C. The natural gas emitted from the well expands 2000 time by reaching of the sea surface. This causes a freezing effect on the oil that also causes more of the disbursement effects. It is very important to understand this in terms of the Gas Laws if one is studying this carefully. The oil is frozen then exploded in the water column coming up. There are a lot of other issues involving this oil. The oil is a reddish brown material containing a very high volatile fraction set. Compounds of Benzene, Xylene, toluene, naphtha, ether and other compounds are there in vast quantities. The mix is a very dangerous one and may well render the Corexit into a minor problem. Benzene is a class 1 Carcinogen and causes Leukemia. At 1 part per million, Benzene is unsafe. Penetrations of Benzene are possible quite far inland. very dangerous one and may well render the Corexit into a minor problem. Gustav Meyrink est un écrivain autrichien (connu aussi sous le nom de Meier), né à Vienne le 19 janvier 1868 et mort à Starnberg, en Bavière, le 4 décembre 1932. Il est l'un des principaux représentants de la littérature fantastique de langue allemande. Ses œuvres sont influencées par les sciences occultes dont il était adepte. Il avait étudié la théosophie, la sophiologie chrétienne, le mysticisme oriental et la Kabbale. L'un de ses livres a connu une certaine célébrité: "le Golem"
Le héro, un savant fou, sait que tout le sous-sol du Mexique est constitué de grottes pleines de pétrole. Il décide pour se venger des hommes qui l'ont spolié de faire sauter les murs entre ces poches pétrolifères. Jusqu'à ce que par une fuite dans celle sous le golfe du Mexique, le pétrole se répande dans l'Océan. - - - Meanwhile, the oil flowed, exactly as Dr. Jessegrim had calculated, without a problem from the underground caves in Mexico into the sea and formed a shining layer, which became bigger and bigger and, driven by the gulf stream, soon seemed to cover the entire gulf. - - - The shores were barren, and the population withdrew into the interior of the country. - Pity for the blooming towns! Also the sight of the lake was awfully more beautiful, - a boundless space, gleaming and shimmering in all colors: red, green and violet, - - as deep, deep black, as fantasies out of fairy tale stars. - The oil was thicker than petroleum usually seemed to be, and showed by its contact with the salty sea water no change other than that it gradually lost its smell. Est-ce que par hasard, cela vous rappelle les prévisions d'industriels et de politiques sur la rareté à venir de l'eau ? et dont l'eau ne pourra être bue ..."
"cette pluie qui donnera un souffle empoisonné, une odeur que personne ne pourra supporter. " Ces textes de 1880 relatent des événements à venir en France. Lawsuits claim that the explosion on the Deepwater Horizon rig, 52 miles south-east of the Louisiana port of Venice on April 20th, was caused because Halliburton workers improperly capped the well - a process known as cementing. Anything - anything - involving or connected to Halliburton is ultimately controlled and dictated by the Illuminati cabal orchestrated by the House of Rothschild and its associated families. They own Halliburton, lock, stock and millions of barrels. Just eight days before the Gulf blow-out, Halliburton also announced that it had agreed to buy Boots & Coots for $240.4 million. Who are Boots & Coots? The world's largest oil-spill clean-up company which also deals with oil and gas well fires and blowouts. What an incredibly fortunate coincidence. What a slice of luck. The same, too, for another Rothschild-controlled cesspit of evil and corruption, Goldman Sachs, the 'investment bank' that gave us the mortgage debt crisis and the economic collapse of Greece. Goldman Sachs sold 44 per cent of its holdings in BP, a total of 4,680,822 shares worth the best part of $300 million, in the weeks before the Gulf disaster that sent BP shares plummeting, and Tony Hayward, BP's disgraceful chief executive, is reported to have sold his £1.4 million shares in BP a month before the explosion. The profit allowed him to pay off the mortgage on his mansion. How nice. C'est parfois un peu allumé mais j'ai pu recouper les infos sur Halliburton. Pour Goldman Sachs, on avait déjà posté. ça s'impose amah, Pascal, puisque l'auteur est david Icke, bien connu des amateurs du genre ..
à quoi ressemble la mer en profondeur? Plus rien à faire du tout ! Bon, pendant que nous faisons des ronds dans l'eau et des pâtés de sable, nos amis de BP ne se contentent pas de lire le journal les doigts de pieds en éventail. Devinez quoi, la fuite est colmatée, le pétrole a été dissous et les petits poissons écrivent au siège de la compagnie pour les remercier tellement ils sont contents. Allez, pas de quoi s'émouvoir, tout le monde dans l'eau, concours de plongeon ! décidément .. encore une autre explosion de plate forme pétroliére .. et tjs dans la même zone ..
Mesdames et messieurs, British Petroleum (BP) a menti à toute la population – encore une fois – à propos de ce qui se passe réellement dans le golfe du Mexique suite à l’explosion de la plateforme du Deepwater Horizon le 20 avril dernier, qu’elle louait de l’opérateur Transocean Ltd.
Sauf que cette fois-ci, la manipulation de la réalité dépasse tout entendement. Suite aux efforts infructueux continuels durant tout l’été de colmater la plus importante fuite de pétrole de l’histoire des États-Unis, BP a plutôt opté pour tromper la population en présentant un colmatage d’un autre puits. Vous avez bien lu: BP, avec l’aide de l’administration Obama et des médias traditionnels, ont procédé à un spectacle orwellien de miroirs et de fumée en colmatant un autre puits que celui qui avait explosé le 20 avril. Ces affirmations ne sont pas à prendre à la légère et elles sont soutenues par des évidences et preuves qui sont soumises à l’examen des lecteurs et des lectrices. Cela est clairement visible en première page du document de BP et du MMS. BP a reçu la permission du MMS de percer deux puits dans le bloc « 252 Mississippi Canyon Area » (MC252). La localisation du bloc porte le numéro OCS-G 32306 et à l’intérieur de celui-ci se trouve inscrit le Puits A et le Puits qui furent tous deux prévus et approuvés par le MMS. Voilà l’information cruciale que BP, le gouvernement américain et les grands médias ont omis de révéler au public. Tout cela est clairement indiqué sur la carte fournie par BP à la page 3 du même document, où il est possible de voir exactement le positionnement du Puits A et B. En page 8, dans la section « Tentative Schedule of Proposed Activities« , on peut y voir le début proposé des travaux des deux puits et du délais de 100 jours accordés pour réaliser les travaux aux deux emplacements qui sont décrits comme devant être « percés et ensuite temporairement abandonnés ». Il semble que BP et Transocean n’ont pas su respecter les délais prescrits, mais il n’en demeure pas moins que deux puits ont été percés; le Puits A et ensuite le Puits B.
Venant soutenir l’évidence que ces deux puits furent bel et bien percés, se trouve cet autre document officiel datant du 27 avril 2010 concernant les deux autres puits de secours devant être percés d’urgence pour intercepter et aider à colmater le Puits B qui a explosé le 10 avril 2010, entraînant la destruction du Deepwater Horizon. Ces deux puits de secours portent les noms de Puits « C » et Puits « D », tel que visible en première page. Voir aussi cette courte vidéo qui révèle leur mensonge. La coordonnée X, dans le coin en haut à gauche de l’écran du ROV (ROV est un sigle en anglais pour Remote Operated Vehicle – littéralement, « véhicule commandé à distance ») est ce qui nous intéresse. Elle est en fait inscrite à côté de la lettre « E » pour « East », mais lorsqu’on retourne au plan initial d’exploration que BP a fourni, cela signifie l’axe X sur la carte du fond marin. L’image de la vidéo est quelque peu floue, mais il est possible d’y distinguer: « E: 1202512.35″. Quelques secondes plus tard, on peut apercevoir une autre coordonnée: « E: 1202879.69″. Ensuite, quelques autres secondes après, lorsque la scène change de nouveau, le ROV se situe à « E: 1202496.94″. De retour au document PDF ci-haut mentionné du Minerals Management Service — BP a demandé les permis pour forer le Puits A situé à « X:1202803.88″ et le Puits B à « X: 1202514.00″. Aussi clair que le jour. Deux puits furent percés, rapporté seulement qu’à une ou deux reprises par les médias. BP répand de la désinformation. Ces deux images comparatives (cliquez pour agrandir) prouvent bien l’existence des deux puits forés, à deux emplacements distinctifs. En ne faisant paraitre dans le médias que l’existence d’un puits alors qu’il en existe véritablement deux, soit que BP ment délibérément ou donne de la fausse information pour tenter de lancer les observateurs sur de fausses pistes. Deux puits, deux emplacements distincts, deux têtes de puits et tout le reste de l’équipement. Nonobstant ces faits, les vidéos des sous-marins Skandi montrent le Puits A sur les réseaux télévisés comme étant le puits qu’ils prétendent avoir colmaté, alors qu’on peut clairement apercevoir un puits à l’endroit « B » qui continue toujours de rejeter du pétrole dans la vidéo Youtube . Maintenant que l’existence de ces deux puits est bien établie, bien que BP a officiellement dénié cette information, allant jusqu’à nier avoir reçu la permission de percer le Puits B, comment savoir si BP a réellement présenté des images du colmatage du bon puits, c’est-à-dire du Puits « B » qui a explosé le 20 avril et déversé des milliards de litres de pétrole, au lieu du « A »? Il suffit simplement de porter attention aux coordonnées de positionnement ultra-précises des robots sous-marins que BP a utilisé pour travailler sur les puits et qui nous ont fourni les images vues à la télévision, et de les comparer avec les coordonnées citées dans le document de BP et du MMS (Ceci est exposé en détail dans cette série de 4 vidéos). Les documents de BP montrent la localisation du Puits A à « X:1202803.88″ et leur ROV indique « X-1202802.63″. Les plans d’exploration de BP indiquent que le Puits B devait être foré à « X:1202514.00″ et leur ROV apparait positionné en face d’un différent puits avec d’importantes fuites de pétrole situé à « X-1202476.56″. Les coordonnées des ROV ne peuvent jamais être exactement les mêmes que celles indiquées dans le document de BP, parce que ces dernières sont l’emplacement précis du centre du puits. Pour avoir exactement les mêmes chiffres à la décimale près, les ROVs devraient filmer directement à l’intérieur des caissons des puits, ce qui est, évidemment, impossible. De plus, les robots sous-marins doivent maintenir une certaine distance entre eux et du centre du puits pour être en mesure de filmer ce que BP veut voir. Voilà. Le Deepwater Horizon forait au second site et BP a menti. Tout ce qu’on a besoin de faire est de regarder les images et les coordonnées du Puits A et Puits B pour constater qu’il y a effectivement deux sites, deux puits exploités et que les deux avaient d’importantes fuites et qu’on nous a présenté, à la fin juillet, le Puits A qui semble avoir été proprement colmaté. Nous aurions évidemment besoin d’explications de la part de BP et du gouvernement américain pour faire la lumière sur tout cela, mais nous pouvons théoriser de façon assez précise que l’explosion géante qui provenait du fond marin et qui est remontée jusqu’à la surface à travers la plateforme de forage, la faisant ainsi exploser, fut assez puissante pour aussi endommager le Puits A, qui se trouve qu’à quelques dizaines ou centaines de mètres du Puits B. Des rapports ont indiqué que le bloc obturateur de puits (BOP) aurait été projeté à des kilomètres de distance du site du Puits B par la force de l’explosion. Il est alors fort possible que les deux puits furent endommagés et que le Puits B, où le Deepwater était en train de travailler, est totalement détruit si l’histoire du BOP est correcte. BP a probablement présenté le site A dans 99,9% des cas pour faire en sorte qu’il puisse mettre en place cette charade de remplacement du bouchon sur celui-là, qui avait initialement été colmaté en 2009 avant la venue de l’ouragan qui avait soufflé dans la région. Ils ont accidentellement laissé les images en direct des ROVs Skandi rouler à quelques reprises et heureusement, des gens qui ne savaient pas ce qu’ils avaient entre les mains les ont téléversés (uploaded) sur Youtube. Elles ont par la suite été trouvées – trois vidéos du pétrole provenant d’un puits que BP déclare n’avoir jamais construit. Le Puits B est encore là, si tout cela est correct, toujours détruit et ce à point tel qu’il est impossible de le colmater à son embouchure. Et même s’il pouvait l’être, BP a rapporté avoir trouvé des fuites provenant du caisson, signifiant que même s’il arrivait à colmater avec succès ce puits, le pétrole continuerait de s’échapper du caisson fracassé ainsi que du fond marin où plusieurs cheminées se sont formées. Mais on a déclaré à la population qu’il n’existe pas, alors on s’imagine que c’est le cas. Même si ces images prouvent le contraire. François Marginean : Technicien en Architecture, chercheur indépendant, animateur de radio à l'émission L'Autre Monde sur CHOQ FM de l'UQAM, éditeur du blog Les Nouvelles Internationales et collaborateur chez Les 7 du Québec. ça laisse ouvert la question... Qui peut affirmer le contraire...qui a les moyens de plonger à 1500 mètres sous la surface pour aller contrôler ce qu'affirme BP! Interprétation paranoïaque personnelle : l'explosion récente viserait à justifier l'origine de quantités de pétrole provenant de la seconde fuite (qui officiellement n'existe pas) de la plate-forme BP et à disculper celle-ci en faisant porter le chapeau à quelqu'un d'autre. Bon, vous me direz que j'exagère peut-être et que ce serait trop gros, mais avec cette histoire, quand on imagine le pire on n'est jamais déçu...sauf quand on se dit qu'en fait on aurait dû imaginer pire encore pour coller avec la réalité. Pas grave j'ai une bonne doudoune, des moufles en duvet et des surbottes. Il faudrait peut-être faire passer ça sur la file publique consacrée à nos amis de BP ne pensez-vous pas ? Mais ce site (N.O.T.) est-il vraiment fiable ? Je ne le connais pas. Y a t 'il des objections des contributeurs au transfert de cette file en forum public? dans la négative, je la permute sur l'excellente suggestion de Pascal. Cet article est la suite et une mise à jour de L’incroyable arnaque de BP: le puits (B) qui n’a jamais été colmaté, qui fut publié le 31 août 2010. À la suite de certaines observations faites par quelques lucides lecteurs, des corrections et précisions devaient être apportées et j’en profite donc pour donner de l’expansion à ce dossier. Cet présent article devrait donc conséquemment remplacer le premier puisqu’il est maintenant mis à jour avec toutes les modifications et qu’il contient de notables ajouts. - La section C renferme des indications inquiétantes quant aux conséquences de ce volcan de pétrole sous-marin sur les courants marins qui eux, à leur tour, influencent le climat planétaire. Je tiens à remercier tous les intervenants qui ont contribué à ce que ce dossier soit complet et sans faille. Le travail à l’unisson de la communauté de chercheurs sur Internet nous mène inéluctablement sur le chemin de la vérité et c’est ensemble que nous parvenons à nous y rapprocher. Sans tous ces gens qui collaborent ensembles et qui apportent leur part de vérité pour former une vue d’ensemble, ce travail journalistique ne serait pas possible. Mes hommages à tous ces journalistes citoyens qui s’acharnent à poursuivre la vérité, partout où elle se trouve. Madames et messieurs, British Petroleum (BP) a menti à toute la population – encore une fois – à propos de ce qui se passe réellement dans le golfe du Mexique suite à l’explosion de la plateforme du Deepwater Horizon le 20 avril dernier, qu’elle louait de l’opérateur Transocean Ltd.
Cela est clairement visible en première page du document de BP et du MMS. BP a reçu la permission du MMS de percer deux puits dans le bloc « 252 Mississippi Canyon Area » (MC252). La localisation du bloc porte le numéro OCS-G 32306 et à l’intérieur de celui-ci se trouve inscrit le Puits A et le Puits B qui furent tous deux prévus et approuvés par le MMS. Voilà l’information cruciale que BP, le gouvernement américain et les grands médias ont omis de révéler au public. Tout cela est clairement indiqué sur la carte fournie par BP à la page 3 du même document, où il est possible de voir exactement le positionnement du Puits A et B. En page 8, dans la section « Tentative Schedule of Proposed Activities« , on peut y voir le début proposé des travaux des deux puits et du délais de 100 jours accordés pour réaliser les travaux aux deux emplacements qui sont décrits comme devant être « percés et ensuite temporairement abandonnés ». Il semble que BP et Transocean n’ont pas su respecter les délais prescrits, mais il n’en demeure pas moins que deux puits ont été percés; le Puits A et ensuite le Puits B.
Venant soutenir l’évidence que ces deux puits furent bel et bien percés, se trouve cet autre document officiel datant du 27 avril 2010 concernant les deux autres puits de secours devant être percés d’urgence pour intercepter et aider à colmater le Puits B qui a explosé le 10 avril 2010, entrainant la destruction du Deepwater Horizon. Ces deux puits de secours portent les noms de Puits « C » et Puits « D », tel que visible en première page. Ci-dessous, vous trouverez des images supplémentaires pour documenter tout cela davantage. Maintenant que le Puits A a été repéré, lieu où se trouve les véhicules commandés à distance de BP, voici des images plus rares. Changement de site: on aperçoit l’emplacement du Puits B, tel que documenté dans les plans que BP a soumis au gouvernement, suivi par les captures d’écran de la première et troisième scène de la première vidéo de RT présentée ci-haut. Un exemple frappant de ce tour de manège est disponible dans cette vidéo de MSNBC du 18 juin 2010 à l’émission Countdown de Keith Olbermann. BP a annoncé au monde entier que le puits (B) ayant explosé le 20 avril et entrainé la perte du Deepwater Horizon aurait finalement été colmaté entre le 16 et le 19 juillet 2010. Keith Olbermann et son invité discutent du Puits B et les coordonnées données par le ROV indiquent qu’on nous montre bien le puits en question, c’est-à-dire, le « B ». En visionnant cette vidéo, on peut apercevoir les images du pétrole qui gicle du puits détruit, datant d’avant le 15 juillet . Dans cette dernière pièce d’évidence, il est possible de se rendre compte de ce mystérieux tour de magie à l’oeuvre alors que le ROV suit la métamorphose du Puits B en Puits A. Ceci est une autre preuve de l’incroyable arnaque que met de l’avant BP pour tromper le public. Dans cette vidéo Youtube datant du 10 juillet 2010, le ROV commence en montrant des images de l’endroit planifié du puits B. Mais passé la marque des 3 minutes, en cinq « changements » de position, les coordonnées changent tranquillement du Puits B vers le lieu officiel du déversement situé au Puits A! Notez les coordonnées East et North du ROV qui changent de plusieurs centaines de pieds d’un seul coup. Ces changements se produisent distinctement à: 4 min 10 sec et 6 min 47 sec. Donc, est-ce que la vidéo a, par inadvertance, montré un puits avec des fuites de pétrole au Puits B; et est-ce que quelqu’un aurait par la suite altéré les données des coordonnées pour indiquer le Puits A? La réponse est incertaine, mais la supercherie des coordonnées est évidente. Qu’est-ce que cette charade est destinée à dissimuler? Pourquoi? Ce qui est encore plus troublant, tel que noté par un lecteur, c’est que dans la deuxième série de vidéos (datant du 29/05/10 et 30/05/10) présentés dans la section A, bien que le ROV se situe très proche du puits B des plans sur l’axe East, en est très loin sur l’axe North, soit de 793 pieds, ou 258m de plus en direction du Nord. Voilà de quoi nourrir le mystère soulevé par les mensonges de BP et des autorités puisque cela soulève de nouvelles possibilités. Soit qu’il y avait deux fuites provenant du Puits A, alors qu’il était censé être obturé, mais est-ce que l’explosion aurait pu causer ce dommage à plus de cent mètres de distance? Ou bien est-ce que ce fut un choix délibéré de BP de ne pas respecter le plan initial d’exploration? Ou encore, peut-être bien que nous avons là un troisième puits, ce que cette analyse de BK Lim tend à démontrer. Selon ces nouvelles informations (à confirmer), le Puits A et B n’auraient jamais atteint la profondeur prévue du plan initial d’exploration de l’ordre 5500m sous le fond marin, dû à de graves problèmes de forages et de fissurations des strates entourant ces puits, alors que seul le puits S20BC aurait atteint la réserve de pétrole du Macondo. C’est d’ailleurs ce dernier qui aurait vraisemblablement causé l’explosion du Deepwater Horizon et tué 11 travailleurs, tout en causant d’énormes dommages aux deux autres puits. Quoi qu’il en soit, nous aurions évidemment besoin d’explications de la part de BP et du gouvernement américain pour faire la lumière sur tout cela. Néanmoins, nous pouvons théoriser de façon assez précise que les deux explosions géantes qui sont provenues du fond marin ont remontées jusqu’à la surface à travers la plateforme de forage, la faisant ainsi exploser, et qu’elles furent assez puissantes pour aussi endommager le Puits A et le Puits B, qui se trouve à une centaine de mètres l’un de l’autre. Des rapports ont indiqué que le bloc obturateur de puits (BOP) aurait été projeté à des kilomètres de distance du site du Puits B par la force de l’explosion. BP a probablement présenté le site A dans 99,9% des cas pour faire en sorte qu’il puisse mettre en place cette charade de remplacement du bouchon sur celui-là, qui avait initialement été colmaté en 2009 avant la venue de l’ouragan Ida qui avait soufflé dans la région. Ils ont accidentellement laissé les images en direct des ROVs Skandi rouler à quelques reprises et heureusement, des gens qui ne savaient pas ce qu’ils avaient entre les mains les ont téléversés (uploaded) sur Youtube. Elles ont par la suite été trouvées et parmi celles-ci, trois vidéos montrant du pétrole qui provient d’un puits que BP déclare n’avoir jamais construit.Le Puits B est encore là, si tout cela est correct, toujours détruit et ce, à point tel qu’il est impossible de le colmater à son embouchure. Et même s’il pouvait l’être, BP a rapporté avoir trouvé des fuites provenant du caisson, signifiant que même s’il arrivait à colmater avec succès ce puits, le pétrole continuerait de s’échapper du caisson fracassé ainsi que du fond marin où plusieurs cheminées se sont formées. Mais on a déclaré à la population qu’il n’existe pas, alors on s’imagine que c’est le cas. Même si ces images prouvent le contraire. Le 29 aout 2010, Lord Stirling a émit un rapport inquiétant avertissant que le Courant Nord Atlantique aurait disparu. Bien que le présent auteur soit hésitant à vous présenter des informations aussi alarmistes, il semble, après vérification, que plusieurs de ces informations soient validées par des évidences scientifiques. Par contre, ces affirmations selon lesquelles le Courant Nord Atlantique aurait « disparu » et que la cause serait primordialement le désastre pétrolier et les utilisations subséquentes de dispersants chimiques sont un peu prématurés. Malgré tout cela, le rapport de Stirling comporte suffisamment d’évidences pour s’alarmer. Mais comme si ce n’était suffisant, les responsables de BP en rajoutent en déclarant qu’ils pourraient bien forer de nouveau dans la zone dévastée et ont même poussé l’insulte jusqu’à donner un ultimatum au Congrès américain leur demandant de leur livrer de nouveaux permis de forage dans le golfe du Mexique à défaut de quoi, toujours selon les propos de BP, rapportés par le New York Times, les fonds servant à payer les dommages causés par le désastre pétrolier du Deepwater Horizon se tariraient. Le Times rapporte que le géant pétrolier BP, basé en Angleterre, est le sentier de la guerre contre une réforme votée par la Chambre des représentants plus tôt cet été qui interdirait à BP d’obtenir de nouveaux permis de forage aux États-Unis. Que BP mente, j'en suis intimement convaincu. Mais alors, pourquoi ils mettent sur le net les videos des puits??? Faire croire à leurs mensonges? J'ai un peu de peine à comprendre! Black Swan Clusterflock +1. As if earthquakes, tsunamis, nuclear meltdowns and war was not enough, the Examiner now discloses that a replay of the BP oil spill could be in the making, sending WTI to the (super)moon, the economy collapsing, and Ben Bernanke starting the printer in advance of QE 666. To wit: "The U.S. Coast Guard is currently investigating reports of a potentially massive oil sheen about 20 miles away from the site of the Deepwater Horizon oil rig explosion last April." There are no definitive reports yet, but we should now for sure within hours, if the Keppel FELS built TLP is indeed the culprit: "According to Paul Barnard, operations controller for the USCG in Louisiana, a helicopter crew has been dispatched to the site of the Matterhorn SeaStar oil rig, owned by W&T Offshore, Inc." And if preliminary reports are correct, BP will have been the appetizer: "Multiple reports have come in of a sheen nearly 100 miles long and 10 miles wide originating near the site." If confirmed, Obama can kiss tomorrow's Rio golf outing goodbye. Independent pilots, including John Wathen of the Waterkeeper Alliance, and Bonnie Schumaker with Wings of Care, are currently flying out to investigate the spill. Schumaker reports having seen the sheen on Friday, March 18, and confirms that it is rapidly expanding. A Louisiana fisherman, who has chosen to remain anonymous at this time, also reports fresh oil coming ashore near South Pass, LA, and that cleanup crews are laying new boom near the beach. The site of the sheen, near Mississippi Canyon 243, lies 30 miles from the Louisiana coastline. The Matterhorn field, at a depth of 2,789 feet (850 meters) of water, was discovered in 1999, leased and permitted in July 2001, and came into production in November 2003. It is located 30 miles SE of the mouth of the Mississippi River. Of course, whether this is due to the Matterhorn SeaStar or a second leak that many predicted last year due to the Deepwater Horizon will also be closely evaluated this time around. The U.S. Coast Guard said late Saturday that it is investigating reports of a miles-long oil slick in the Gulf of Mexico. The Coast Guard said in a news release that it received a report of a three-mile-long rainbow sheen off the Louisiana coast at around 9:30 a.m. local time on Saturday. Two subsequent sightings were relayed to the Coast Guard, the last of which reported a sheen that extended from about 6 miles south of Grand Isle, La. to 100 miles offshore. Though the Coast Guard was able to confirm that there is a substance on the water's surface, it has not yet been able to determine if it is oil. Petty Officer Casey Ranel said that officers who observed the substance from a helicopter said they saw no sheen associated with it. That flight was diverted from the scene on a separate search and rescue mission, however, and could not continue their investigation, the Coast Guard said in the news release. The Coast Guard has since launched additional aircraft and boats to the scene from New Orleans and Mobile, Ala., to collect samples of the substance. Ranel said the area where the substance has been reported is about 20 miles west of where the Deepwater Horizon rig exploded last April, killing 11 and unleashing the largest offshore oil spill in U.S. history. Ranel said the Coast Guard has not linked the substance to any particular rig or well. The Oil Spill Liability Trust Fund, which holds oil royalties to pay for spill clean-up costs, has been opened, the Coast Guard said. En attendant la prochaine !